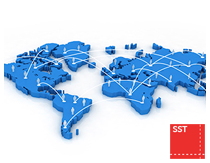 Founded in early 2005, SST targets the middle-market stamping industry as the exclusive distributor of INGYU products in the Americas. In addition, SST offers a full compliment of press service and spare parts coverage. The line of INGYU products includes the Apex, Civic, IHD and the Saga Series. Expansion of the product line to offcoilers, recoilers, accumulators and stamped strip washers and welders is expected in the coming year. SST is headquartered in Ridgefield, New Jersey.